New Delhi: Operators may soon be able to lower their costs by sharing infrastructure, with the Tower and Infrastructure Providers Association (TAIPA) holding discussions with the Telecom Regulatory Authority of India (Trai) for rolling out pilot projects under a common duct policy. Under the initiative, a common optical fibre would be laid underground and would be used for providing multiple services such as electricity, cable TV and home broadband internet. Operators will thus not incur capital expenditure independently as this will result in only one-time costs for things such as digging and also lead to sharing of infrastructure. “The fibre would be owned by the infrastructure providers and they have suggested three kinds of business models. These include public-private partnership, a one-time fee for laying fibre charged by the authorities, and revenue sharing between municipality and the operator,” a person aware of the development said, requesting anonymity. A pilot project in Delhi was also discussed at a session organized by the PHD Chamber of Commerce and Industry on 24 October. Another pilot could also be undertaken in Rajasthan, a second person aware of the matter said, on condition of anonymity. The fibre sharing arrangement envisaged would be similar to the tower sharing arrangement between telecom operators. Moreover, under the National Digital Communications Policy, 2018, approved by the cabinet in September, the department of digital communications has stated its intention to implement a “fibre first initiative” to take fibre to homes, to enterprises, and to key development institutions and to accord telecom optic fibre cables the status of public utility. This would be done by promoting collaboration models involving state, local bodies and the private sector for provision of shared duct infrastructure in municipalities, rural areas and national highways. 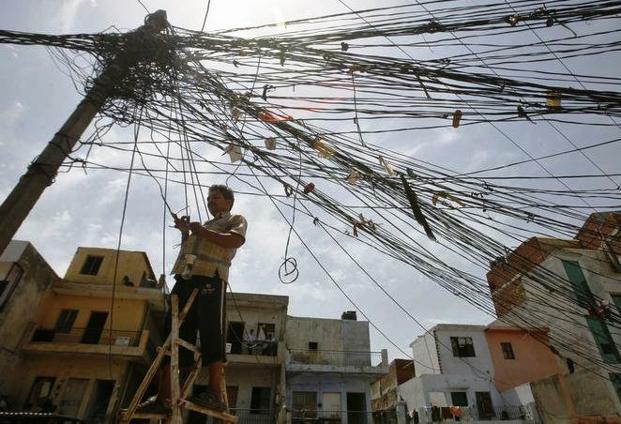 The government also seeks to establish a ‘National Digital Grid’ by establishing common service ducts and utility corridors in all new city and highway road projects, and related elements and creating a collaborative institutional mechanism between the centre, states and local bodies for common rights of way, standardisation of costs and timelines, and removal of barriers to approvals, the policy said. Trai, in April 2017, along with the Jharkhand government undertook tests for a small project in Deogarh district where each common duct would comprise seven micro ducts. Public sector telecommunication consultancy firm Telecommunications Consultants India Ltd provided consultancy to the project in Deogarh. A feasibility report prepared by the consultant found that the total capital expenditure for this project was about ₹46 crore for a 300-km area. The idea is to offer a common duct for at least 20 years, and no other entity would get permission to dig land there.